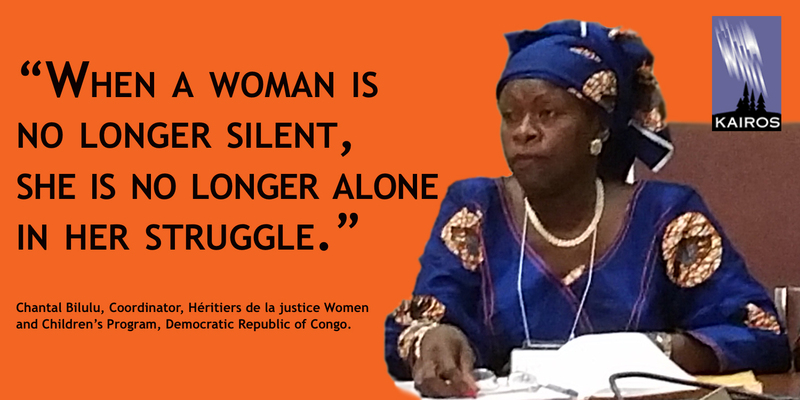 Héritiers de la Justice (HJ) is a human rights organization in the eastern Democratic Republic of Congo (DRC). KAIROS supports three programs related to the promotion of good governance. The first supports a legal clinic to combat the prevalence and impunity of gender based violence on girls and women by having perpetrators prosecuted, sentenced and incarcerated while restoring victims to their communities. The second involves creating spaces in which leaders are accountable to the governed on public services, permitting citizens to ask questions and participate in making decisions in the areas where they live. The third includes the development of human rights expertise in the public sector through training national, provincial and local government employees, especially as it relates to violence against women. KAIROS worked with Héritiers de la Justice to monitor the last national elections. HJ’s former Executive Secretary, Pascal Kabangulu, was assassinated in his home, in front of his family (now refugees in Canada), for his knowledge of illicit trade activities and persistent defence of human rights. In advocating for legal proceedings in the DRC on this situation, KAIROS views this case as a portal though which to help Congolese civil society combat the pervasive culture of impunity entrenched in the DRC and monitor progress in the areas of justice and good governance. KAIROS partnership with Héritiers de la Justice increasingly addresses the safety of children and youth, related to peace building and human rights, as well as the legal prevention and recourse for young women and girl victims of gender-based violence. South Sudan Council of Churches (SSCC) is a national fellowship of Catholic, Protestant and Coptic churches in northern and southern Sudan which advocates for conflict resolution, human rights and justice. It has sponsored civil society fora to promote dialogue, reconciliation and unity among Southern Sudanese political and military factions and coordinated civil society input to the Inter Governmental Authority for Development, the Sudan peace process that followed the signing of the Comprehensive Peace Agreement in 2005, which ended over 20 years of north-south civil war. The World Student Christian Federation (WSCF) promotes the union of 26 national Student Christian Movements (SCMs) and is an association of youth, students and members of academic communities throughout Africa. WSCF works for socio-economic justice, peace, human rights and helps to build leadership capacity. 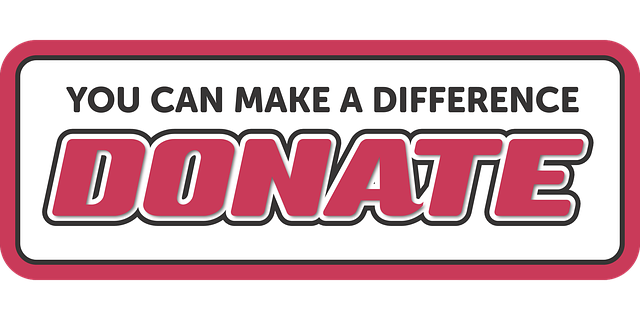 KAIROS supports WSCF’s HIV and AIDS Economic Justice Platform for Action which looks beyond symptoms of the pandemic to structural barriers to treatment. The Platform addresses the ways that debt, the Highly Indebted Poor Countries Initiative, Structural Adjustment Programs in their many forms, Trade-Related Intellectual Property Rights, and the lack of inexpensive anti-retroviral drugs exacerbate the problems. KAIROS’ partnership with WSCF focuses on mobilizing and harnessing the enthusiasm of youth and student leaders in the area of climate change mitigation and adaptation approaches to sustainable agricultural development and food security in DRC, Kenya and Sudan. Oilwatch Africa coordinates work across 15 countries in Africa and is hosted by Environmental Rights Action (ERA), in Nigeria. It has built a strong, active network to monitor and respond to the impacts of fossil fuel activities on African peoples and their environment. The Oilwatch International network is dedicated to developing global strategies for communities affected by oil operations and supporting their efforts to ensure ecological sustainability. In addition, Oilwatch Africa makes an effort to raise the global environmental conscience by exposing industry impacts on tropical forests and local populations. It establishes the relationship between land use and consumption, climate change, food security, human rights violations, and the destruction of biodiversity. KAIROS’ partnership with Oilwatch Africa focuses on fostering conditions for an enabling environment for sustainable agricultural development in Ghana, Mali and Nigeria. The All Africa Conference of Churches (AACC) was established in 1963 and consists of 134 churches and 35 National Councils of Churches representing 39 African countries. AACC mobilizes churches around a common framework for ecumenical action on climate change, recognizing that Africans will be disproportionately affected by climate change with some 20 million people already displaced. AACC has published research and engagement materials such as Water, Environment and Climate Change: Where is the Church. KAIROS works in partnership with AACC particularly in Democratic Republic of Congo, Ghana, Mozambique, Tanzania and Zambia, and with sub-regional fellowships of churches. The partnership focuses on addressing climate change and its impact on creating an environment for sustainable agricultural development. 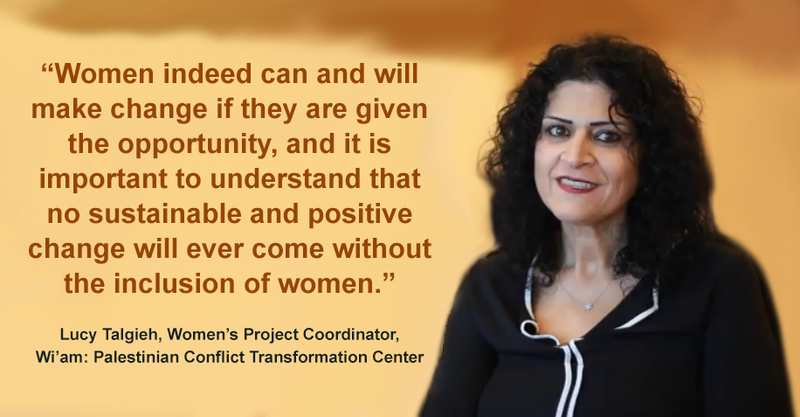 KAIROS also works with AACC’s Women as Agents of Peace program to further research on impacts and strategies to address gender based violence in conflict zones. The African Women Economic Policy Network (AWEPON) is a membership-based organization registered in Uganda that focuses on the promotion of gender equity and economic justice. Its programs analyze economic policies of African countries to identify their negative impact on women and engage for positive change. It also trains women in economic literacy to acquire skills to identify and analyze economic policies that negatively affect them. KAIROS’ partnership focuses on AWEPON’s climate change program that includes the relation between climate change and food security. The African Initiative on Mining, Environment and Society (AIMES) is a pan-African network inspired by the Third World Network-Africa. AIMES engages in analysis and provides forums for its members to evaluate land use and national land use policies, build consensus, and share information and experiences. KAIROS’ partnership with AIMES focuses on the industrial impacts on food security in Africa and the development of civil society alternatives for land use in Africa that address food security needs. EcuVoice has been a KAIROS partner since its inception in 2001. It works to build secure and sustainable communities, particularly in areas experiencing military conflict or environmental harm. EcuVoice helps marginalized communities articulate policy options to counter economic and political strategies that increase their marginalization. KAIROS’ partnership with EcuVoice focuses on addressing human rights violations and working for good governance to improve national protection frameworks that promote and protect the safety and security of children and youth, particularly in areas of conflict. JATAM is a network of 26 NGOs and community-based groups in Indonesia that works directly with communities and Indigenous peoples on issues of human rights, gender, food security and the environment. It conducts research in and with affected communities on the impact of resource extraction; educates communities on their rights and responsibilities; engages in dialogue with industry and government; and proposes legislation and policy initiatives to mitigate human rights violations and ecological harm. Their long-term objectives include sustainable agricultural development to ensure food security for impacted communities. KAIROS’ partnership with JATAM was established in 2002. KONTRAS was formed in 1998 by a coalition of 12 pro-democracy NGOs in response to the Indonesian government’s silence on forced disappearances. KONTRAS documents human rights violations, exposes military and paramilitary abuses and educates to end impunity in Indonesia. KONTRAS is a lead member of the Asian Federation Against Involuntary Disappearances, a regional federation of groups working on forced disappearances. KONTRAS plays a lead role in pushing the Indonesian government to investigate military abuses, particularly those involving youth and students. It demands convictions for those found guilty of human rights violations and military atrocities, and compensation for victims and their families. KONTRAS has been a KAIROS’ partner since 2002. The partnership focuses on monitoring, documentation and advocacy related to the human rights impacts of conflict on young women and men. KONTRAS has a Human Rights School to educate and train youth on various national and international human rights instruments, including the Convention on the Rights of the Child. It develops policies that improve human rights adherence by agencies of the state in order to improve the safety and security of children and youth at the national level, particularly in areas of conflict. Pacific Conference of Churches (PCC) is a regional ecumenical organization founded in 1961 which has a membership of 34 Pacific churches and nine National Councils of Churches. PCC was founded to promote ecumenism among its members and to engage in issues of justice, peace and the integrity of creation. One of its key areas of work is the promotion of human rights and ecological justice, with a focus on climate change and its severe impact in the Pacific. PCC also addresses governance issues particularly as they relate to poor communities affected by mismanagement and destructive use of land for industrial purposes. KAIROS’ partnership focuses specifically on Kiribati, Tuvalu and Tahiti, working with their member churches in those countries. International Women and Mining Network/Red Internacional de Mujeres y Mineria (RIMM) is an informal global collective of communities, people’s movements, NGOs and human rights organizations promoting sustainable agricultural development for food security and working on the concerns of women and children in poor and marginalized communities affected by agribusiness and extractive industries. The network promotes the rights of women to land tenure and access to resources when land is claimed for use by agribusiness and extractive operations. 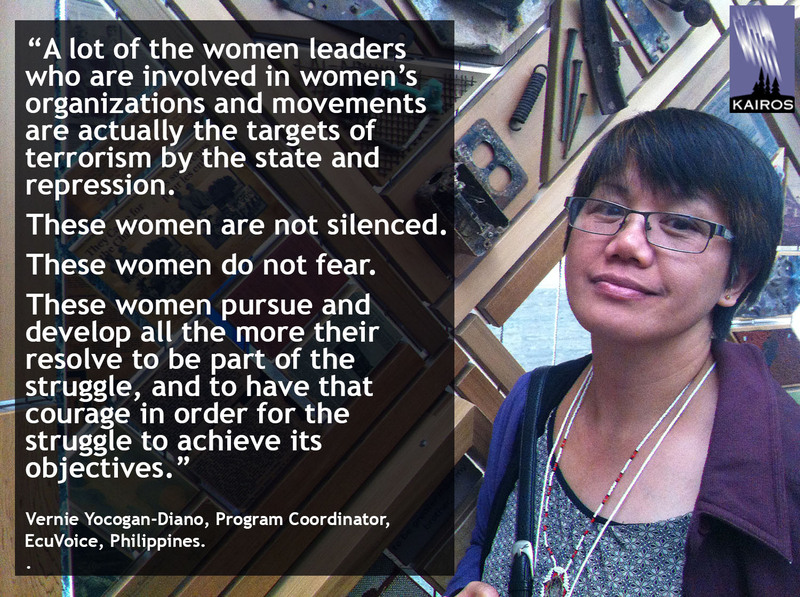 Innabuyog is an alliance of Indigenous women’s organizations in the Cordilleras region in Northern Philippines. It promotes Indigenous women’s rights, sustainable agricultural development and food security. Innabuyog functions as the secretariat for RIMM in Asia. The Justice and Peace program of the Diocese of San Cristobal trains human rights promoters to work across the diocese to defend human rights through the use of theoretical and practical human rights instruments (national and international) which respond to the needs and the context of the region. The program is rooted in the historic work of the Diocese of San Cristobal in human rights and social justice and associated with the legacy of Bishop Samuel Ruiz. The Tepeyac Human Rights Centre (Tepeyac) has monitored and documented human rights violations of the Indigenous peoples in the region since its foundation in 1992. Tepeyac was formed as a program of the Diocese of Tehuantepec. KAIROS has supported the work of Tepeyac in the areas of human rights, sustainable community development, education, documentation, and community accompaniment. In a region with great biodiversity, Tepeyac has seen new levels of hunger and malnutrition related to the impacts of climate change and unsustainable industrial practices that lead to ecological degradation. Tepeyac is committed to promoting useful and ecologically sound technologies to mitigate climate change, and to train community members in sustainable practices. Acción Ecológica, founded in 1986, is recognized as one of the leading environmental groups in Ecuador for its work with Indigenous and peasant communities and for its policy development at a national and international level. Acción Ecológica works on environmental issues ranging from local transportation and recycling to mining, petroleum, biodiversity and agro fuels. It has a strong relationship with the Indigenous peoples in Ecuador that is based on mutual support, respect and a common agenda. Acción Ecológica works with local communities (mostly Indigenous and campesino) throughout Ecuador to strengthen the capacity of poor and vulnerable communities in sustainable agricultural development for food security and to ensure that the experiences of local communities inform local and national development policies. KAIROS’ partnership with Acción Ecológica was established in 2001 and focuses on sustainability issues, including the impacts of land use and climate change on food security. The Popular Feminist Organization (OFP) was established in 1972 in the city of Barrancabermeja. Today the OFP has a presence across the Magdalena Medio, as well as Bogotá and Huila and has become one of the largest and most well-respected grassroots women’s organizations in Colombia. The OFP represents thousands of women, and has programming in the areas of peace, human rights, health, and food security. The Magdaleno Medio ‘s natural wealth, especially in oil and gold, alongside its extreme poverty (nearly double the national average) made it a focal point in Colombia’s armed conflict. The OFP’s experience accompanying victims of social and economic injustice and political violence in this region gives them a unique perspective on the peace process. At a local level the OFP continues to operate casas de mujeres and run community kitchens which offer affordable meals and provide some income to the women’s centres. It provides psycho-social counselling, legal support to women victims of violence, human rights training, and youth programs. The OFP continues to accompany women victims of the war who are seeking reparations through the implementation of the Victims’ Law (Ley de Victimas, 2011). They are also engaged in a process of collective reparations with the State Victims Unit in recognition of the threats and violations they suffered as an organization, including the assassination of a number of their leaders. The OFP has become an emblematic case of collective reparations in Colombia. KAIROS has been in partnership with the OFP for over 15 years. Association for Community Development and Promotion (CEIBA) was founded in 1992 and works with communities in four departments and 17 municipalities in Guatemala. CEIBA supports initiatives that come from communities to strengthen their capacity to bring about social change and propose alternatives. Since its inception, CEIBA has provided human rights support and integral community development in the department of Huehuetenango, Guatemala. The communities it works with have been impacted by land insecurity, unsustainable land use practices by extractive industries or industrial agriculture, and by climate change. CEIBA accompanies communities in their efforts to build sustainable alternatives. Since 2007, KAIROS has supported CEIBA in its accompaniment of community leaders and traditional authorities in the development of public policy related to natural resources and land use. The partnership focuses on supporting CEIBA’s work building the capacity of vulnerable Indigenous communities to promote sustainable livelihoods and food security and its climate change program. The Latin American Council of Churches (CLAI) is an organization of over 150 churches and Christian networks from 20 countries in Latin America and the Caribbean, founded in 1982. CLAI has nine program areas: education and communication, theological reflection and witness, ecological justice, economic justice, women and gender justice, citizenship and ecology, youth, health, economy and society and Indigenous peoples, each with a program staff. Based in Bethlehem, the Wi’am: Palestinian Conflict Transformation Center began operation in March 1995. “Wi’am” in Arabic means “cordial relationships” and developing relationships is the essence of Wi’am’s mission. The Center helps to resolve disputes within Palestinian communities by implementing the traditional Arab form of mediation known as Sulha, as well as Western models of conflict resolution. Wi’am provides services for women and children and seeks to educate local Palestinian communities on equality, democratic norms, and basic human rights. KAIROS supports Wi’am’s work to address violence by providing counselling for Palestinian women throughout the West Bank who are victims of abuse, and by offering employment training. Wi’am is helping empower victims to become voices in their own defense and for community justice and peace. The Department of Service to Palestinian Refugees (DSPR) is a department of the Middle East Council of Churches with a mandate to provide assistance to Palestinian refugees in Lebanon, Syria, Jordan, the West Bank and Gaza. Most of this assistance is in the form of social services and emergency assistance. The Canadian churches have supported vocational training and health care programs in Gaza, and land reclamation and water projects in the West Bank. DSPR also advocates for the refugees’ right of return and for an end to the Israeli Occupation of Palestinian Territories. Sabeel is an ecumenical centre for Palestinian Liberation Theology established in 1990 and registered as an NGO at the Palestinian Ministry of Interior in Ramallah. KAIROS has been supporting the work of Sabeel since 2000 as it strives to develop a spirituality based on justice, peace, nonviolence, liberation and reconciliation for the different national and faith communities. Sabeel also works to promote a more accurate international awareness regarding the identity, presence and witness of Palestinian Christians. KAIROS supports research on the impacts of human rights violations in the West Bank and Gaza as well as training programs for youth and women on human rights. Support is also given to Sabeel’s local and international advocacy initiatives related to conflict and peace issues in the Israeli-Palestinian conflict. The Jerusalem Center for Women (JCW) is a Palestinian women’s center located in East Jerusalem. Established in 1994, the JCW is a registered NGO at the Palestinian Ministry of Interior in Ramallah. It seeks to empower Palestinian women in the process of democracy and in all aspects of Palestinian civil society development. Its structure includes a board of directors made up of 12 members, a staff of seven and a pool of activists and volunteers. Much of this works takes the form of human rights workshops that strive to enable Palestinian women to recognize and act on their human rights, in the contexts of Palestinian society and of the Occupation. Much of its day-to-day work focuses on the impacts on women of Israeli policies such as house demolitions, exposure to military violence, and the continued construction of the Separation Wall in the Jerusalem area. Former joint project: KAIROS had been supporting the joint Bat Shalom-JCW work of the Jerusalem Link since 2000, the first time that Palestinian and Israeli organizations worked together closely for the advancement of women’s human rights in the region and to facilitate dialogue and trust between Israeli and Palestinian women. KAIROS supported the joint Palestinian-Israeli initiatives of the Jerusalem Link for peace, impacts of human rights violation on Palestinian and Israeli women as well as local and international advocacy initiatives related to conflict and peace issues in the Israeli-Palestinian conflict. The Link ceased to function in 2008, during the Israeli assault on Gaza.